Tip #10: Don’t leave before fishing out the good deals. In my experience, my competitors usually go right to the tools. Remember the estate sale I showed up to only to be greeted by the guy with 10 handsaws in his box? That deflated me a little. But I resolved to continue looking around. Come to discover that the 10-saw man left the Jorgenson clamps and forstner bits untouched. At $4.00 each the clamps were a good deal. At the same price the 1” and 2” forstner bits, respectively, were a steal. My point is, that just because the hand planes, saws and chisels have been snatched up doesn’t mean that there aren’t other colossal deals in your midst. I’ve stocked up on wood screws at estate sales. Especially brass wood screws. Go to your nearest big-box store and price brass screws. Talk about outrageous. Not so at estate sales. Oh, and while you’re at the store, price cotter pins of all things. Two for $0.98 for many of them. But at an estate sale, I picked up a whole container, maybe 300 cotter pins of all sizes, for a whopping $1.00. For one, single, solitary, all-by-itself dollar, I covered my lifetime needs of cotter pins. You know what else is great at estate sales for us woodworkers? Wood. You’d be amazed at the wood boards I’ve picked up for $0.50. I got a very nice mahogany board for $1.00. (That board has since become a beautiful box for a buddy’s wedding gift.) Given that most people don’t know mahogany from walnut from maple, you can pick up nice hardwood boards at cut-rate softwood prices. In addition to these items, do yourself a favor and sort through the bins you’ll often find on tables. There, you’ll find small gems for your tool kit. For example, I found a near-mint Stanley No. 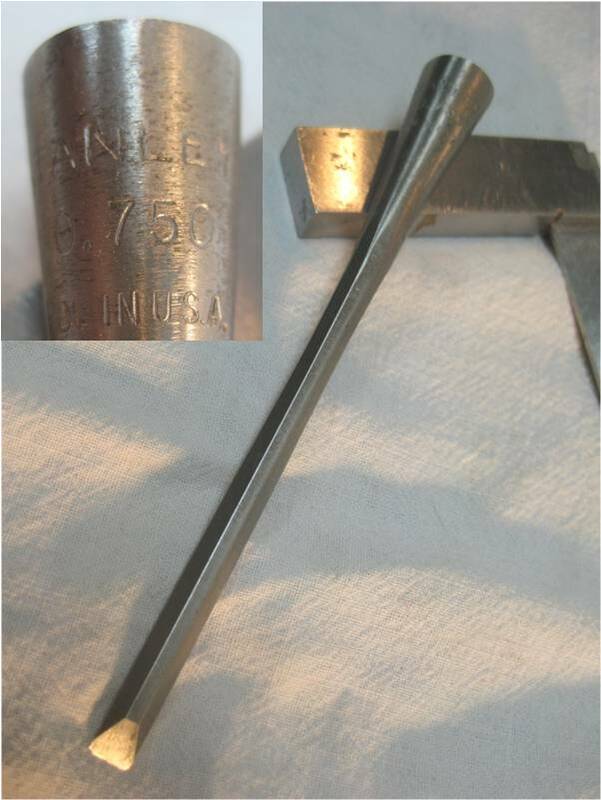 750 ¼” chisel for $2.00 in a box sitting on top of a workbench. Sure it was missing its handle. But did I mention that the tool is near mint? And I know from experience that chisel handles can be found at estate sales for a buck or two. Another great example is tweezers. A quality pair of Swiss tweezers can set you back $20.00 new. But not at estate sales. No sirree. There, you can pick up all sizes and types for $0.50 to $1.00. 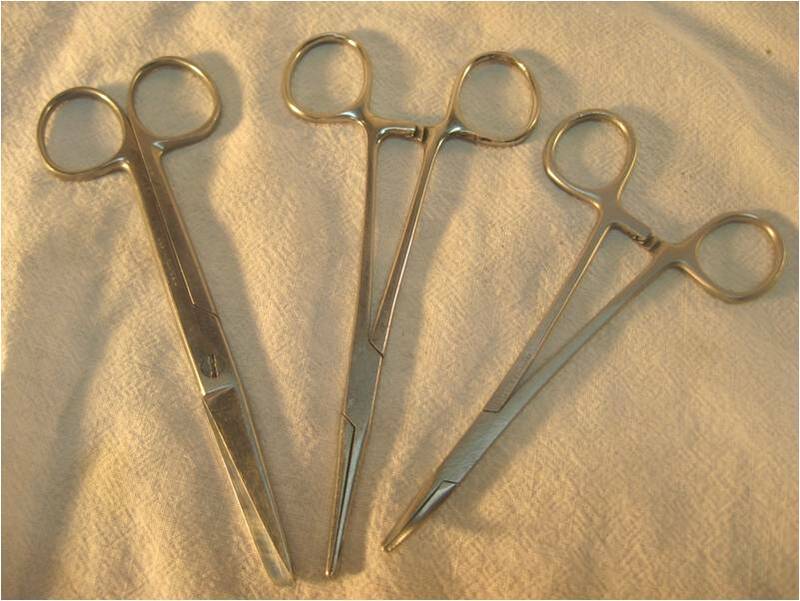 Don’t forget medical utensils either, things like scissors and such. There’s always a need for good surgical scissors and tweezers in a woodshop teaming with splinters and sharp stuff that cuts flesh. Bandages cover those wounds and gauze and tape needs to be cut with scissors. Then there’s sharpening stones. I picked up a concave stone for gouges at the princely sum of $3.00. The equivalent sharpening stone new from one of the catalog providers was $30.00. Hmmm. The key takeaway here is that there are all sorts of fire-sale-priced accoutrements at estate sales other than planes, saws and chisels. In the next installment, I’ll talk about Bonus Tip #11-Finding even more treasures. This entry was posted in Uncategorized and tagged buying vintagte tools, estate sales, rust hunting. Bookmark the permalink. I couldn’t agree more with the advice to think about not just the item you ve set your mind on. Unexpected items are often encountered at estate and yard sales. 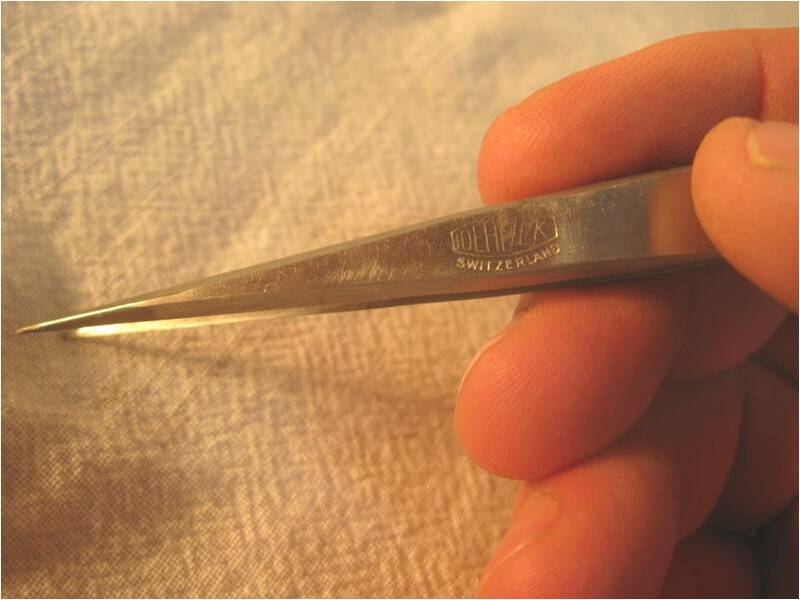 Exmples that I have run into: a handful of Starrett comb square scribers, combination square blades or heads, etc. I don’t like to keep things that I have no current use for, but my combination square with a Starrett head and a Mitutoyo blade is very accurate, easy to use and read, and cost me less than $5. Locally, some fleamarkets have been as good as yard sales. Your posts contain very useful tips. A loupe, small tape measure, and a little foldable rule are always in my glove compartment.